Moving in and around Redditch can be a daunting experience. With the network of roads and roundabouts to navigate, you might feel yourself getting stressed already! 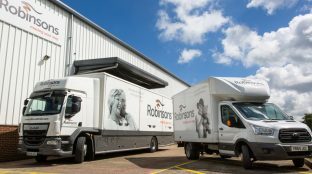 Here at Robinsons we can take the stress right out of your Redditch move. With our fantastic and experienced team on hand, we can take care of all your removal needs. We are proud to tell everyone that we are one of the oldest removal companies in the UK, with over 120 years of experience. However, we’re not only older, we’re wiser too; we are a Which? Trusted Trader, meaning that our top quality service has been recognised and awarded by the Consumer’s Association. We are also pleased to boast that we are a member of the British Association of Removers. This means that our company has been proven to work at the highest standards allowing you to reap all the benefits of our hard work! Call us today on 01527 830 860 or email us enquiries@robinsonsrelo.com to discuss your requirements. For a free, no obligation home-moving survey and quotation, fill in your details in the enquiry form above. One of our Redditch Moving Consultants will visit you for an informal chat about your upcoming move. If you’d like more information, don’t hesitate to speak to us directly: please call us, free, on 01527 830 860 . We’d love to know more about you and your move.